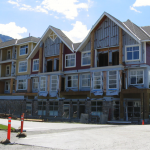 North Country Appraisals provides Reserve Fund Depreciation Studies and Appraisals for Strata Corporations in BC. These Depreciation Reports, also called Capital Reserve Fund Studies, are now mandatory for Strata Corporations in British Columbia. Our professional appraisals team is well-positioned to provide a clear, comprehensive, independent and accurate analysis of your Strata Corporation’s building and commonproperty components. Our BC Depreciation Reports provide Strata Corporations with a list of current deficiencies, future projected expenditures, costs and a financial plan for components that could need replacing or repairing over the next 30 years. In reference to Our History, in his early adult years in 1969 Harvey’s Technical Report prepared for his Technology Diploma issued by SAIT Polytechic was on Building Rehabilitation which shows his keen interest in the nuances of building construction and how buildings operate during their life. With the creation of the CRP designation by the Real Estate Institute of Canada, Harvey’s involvement with the management and administration of the NCA Group provides the company and its associates with superior expertise than can benefit the discriminating strata corporation, management agencies and insurance adjusters. ▶ A financial document provides the basis for the funding of major repairs and replacement of the common elements and assets of the corporation. ▶ A depreciation report is a legislated requirement for strata corporations in British Columbia (there is an opt out clause). ▶ The common components of the strata (a detailed inventory) such as roof, windows, siding, building envelope, etc. ▶ Detailed plans for funding the future costs of the common assets (funding models). ▶ Conduct financial analysis to provide 3 funding options to achieve goals strata goals. Why Do A Depreciation Report? ▶ Lenders and mortgage insurers will start to use the depreciation report as a tool to manage risk. ▶ Real estate is typically the largest asset most Canadians purchase in their life time. Buyers purchasing strata units will demand depreciation reports to ascertain the purchase risk. ▶ Marketing units and longer listing times could potentially lead to discounted selling prices as lenders and mortgage insurers may look unfavourably upon high ratio buyers due to unknown future strata fees and special assessments. ▶ The absence of a depreciation report may make it more difficult for a vendor to sell their unit.